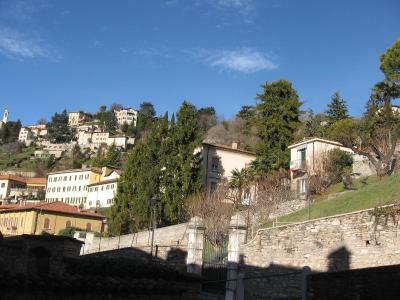 Lock in a great price for B&B Agnese Bergamo Old Town – rated 8 by recent guests! Great area , view and ambience of a local flat in the Old City. Agnese, the owner, is really kind and helpful. It is just a 10 minutes walk to the old town centre. Breakfast is tasty and there is a good variety of food. Very clean room breakfast good the owner was very kind and accommodating. Отличное месторасположение, милые хозяева. С веранды прекрасный вид. Вопрос с бесплатной парковкой решили за 15 мин. Хороший завтрак. C'è molto poco da dire su cosa ci è piaciuto. Si può dire che ci piaceva avere l'acqua calda per la doccia? Dovrebbe essere talmente logico averla da non doverla menzionare nelle cose che ci sono piaciute. La posizione è suggestiva visto che si trova nella città vecchia. La posizione è perfetta: vicina alla funicolare per san Vigilio e di conseguenza vicino alla porta di entrata per la cittadella.Il parcheggio non è comodissimo ma con il pass rilasciato dal B&B si può parcheggiare nei paraggi.La signora è simpatica e gentilissima. Il ristorante li vicino (la "Colombina") è ottimo e con un buon rapporto qualità/prezzo. Cama excepcional. Ótima localização na cidade alta. Atendimento ótimo. Chaleureux accueil de l'hôtesse. Le petit déjeuner était très correct. On peut rejoindre à pied le funiculaire pour accéder au magnifique panorama de Bergame. Это не номер, это двухэтажные апартаменты в доме 17 века. Найти непросто. Хозяйка Агнес максимально дружелюбна. Завтраки, проходят на мини-кухне в доме Агнес, где нельзя сварить даже яйцо. Круасан, кофе, йогурт, сыр не всегда. С/до вокзала автобус 1 и 1А, 15 минут и вы на месте. Подойдёт для размещения родителей с детьми. 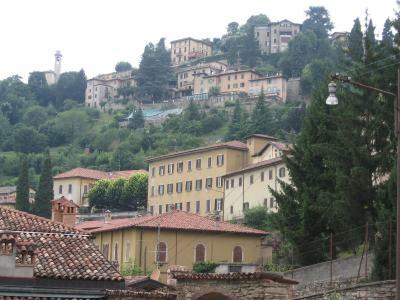 Just a 10-minute walk from Bergamo Cathedral, B&B Agnese Bergamo Old Town is set in an 18th-century building. 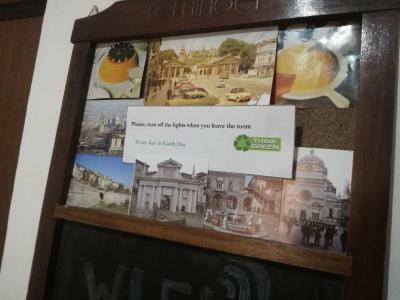 It offers accommodations with free Wi-Fi in public areas. 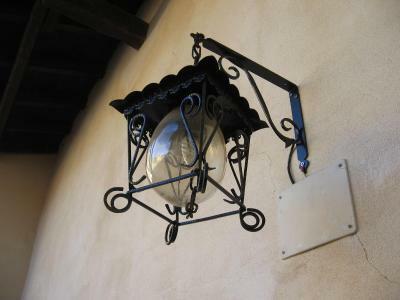 Rooms and studios at Agnese B&B are soundproofed and feature both a living and dining area, along with antique wood furniture. 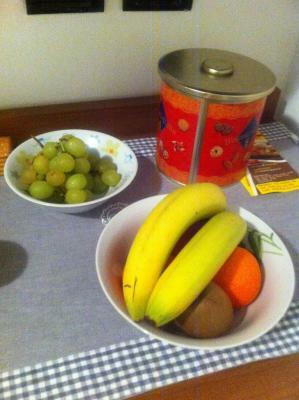 Rooms have a microwave and fridge, while studios come with a fully equipped kitchen. Every morning, you can start your day with a rich breakfast buffet. This includes fresh Italian coffee, plus croissants and local pastries. Bergamo Train Station can be reached by car in 10 minutes. Bergamo Orio Al Serio Airport is 5 mi away. 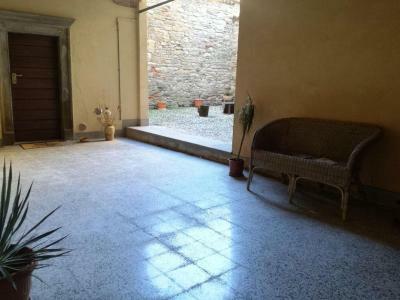 뀐 Located in the top-rated area in Bergamo, this property has an excellent location score of 8.9! 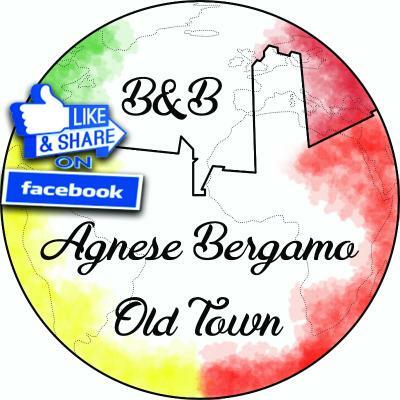 When would you like to stay at B&B Agnese Bergamo Old Town? 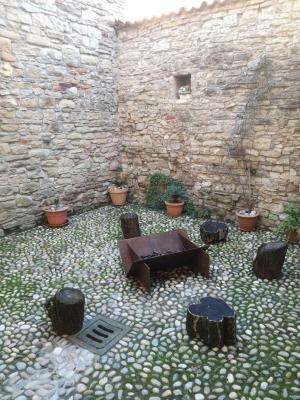 House Rules B&B Agnese Bergamo Old Town takes special requests – add in the next step! ATM card B&amp;B Agnese Bergamo Old Town accepts these cards and reserves the right to temporarily hold an amount prior to arrival. B&B Agnese Bergamo Old Town accepts these cards and reserves the right to temporarily hold an amount prior to arrival. Please note that the property doesn't have an elevator. Very nice place on Alta Citta. If it were not for great location and great view this would be a 2 star. We travel the world often. The caretaker came in to flat unannounced from her apartment 2X. We felt we had no privacy. The bed mattress/springs are very substandard. It’s basicall like a pull out couch as far as springs go. The caretaker spoke very little English. That is not a negative just a fact. After we checked out I needed to use WC but was denied to do so. It felt like the non -verbal smiles were all a sham once the clock ticked past checkout.